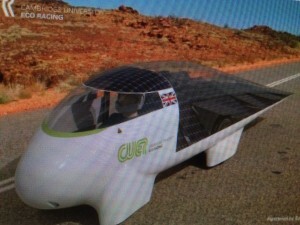 Are you ready for the fast approaching World Solar Challenge 2013, from Darwin to Adelaide, Australia, between Oct. 6-13, 2013? This year, the largest class is Challenger Class. Even after five teams (solar cars) have already withdrawn, there are still twenty-four solar cars in contention. Remember, in 2013, Challenger Class Solar EVs must have four wheels! 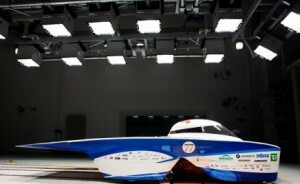 Please refer to/Click: Regulations for the 2013 World Solar Challenge. Please also feel free to click on photos of solar cars in World Solar Challenge 2013 for a a more complete picture of all the participating solar cars. This entry was posted on Wednesday, October 2nd, 2013 at 3:20 PM	and is filed under Events. You can follow any responses to this entry through the RSS 2.0 feed. You can leave a response, or trackback from your own site.